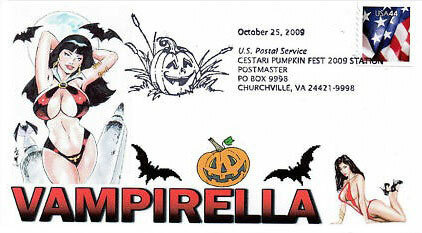 Paul Jaworski has made a set of "postage stamps" which feature some of his prints of "good girl art". 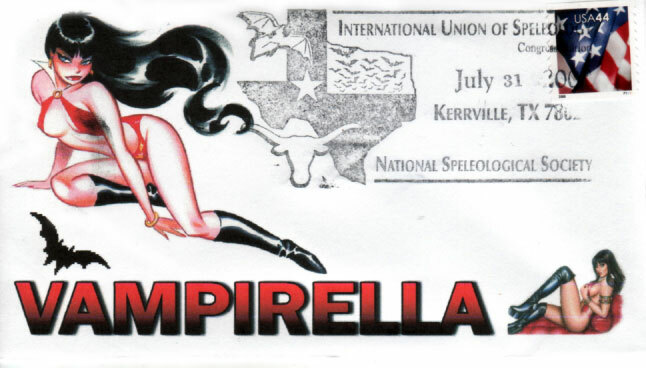 Featuring a range of heroines from the comic books there are a number of Vampirellas in there. 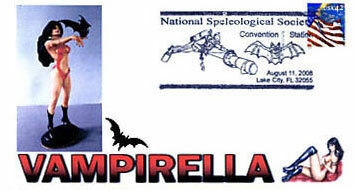 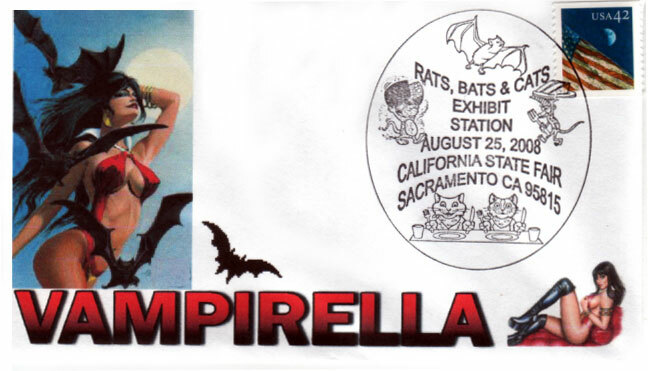 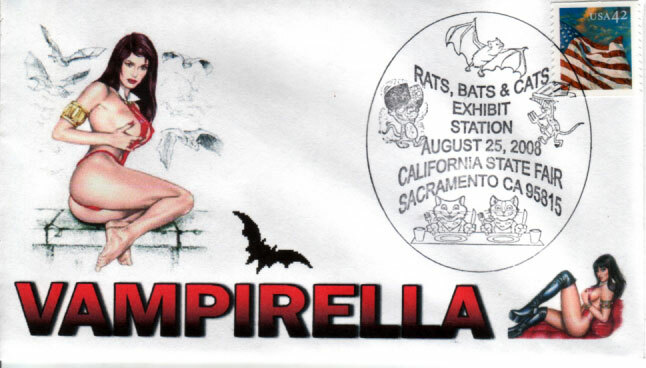 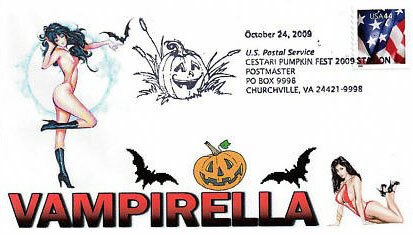 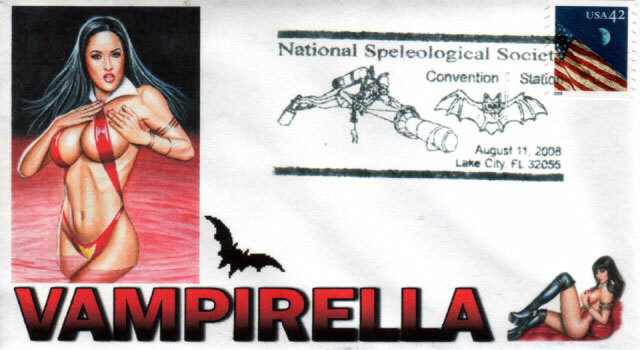 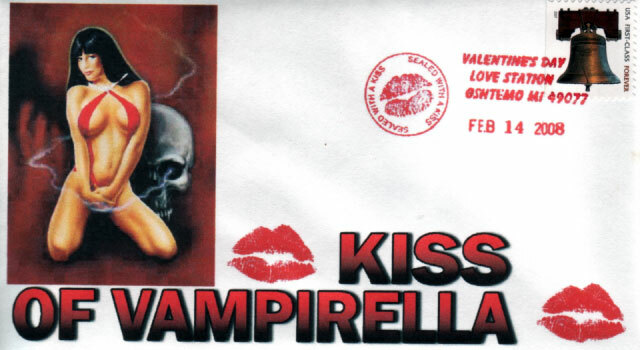 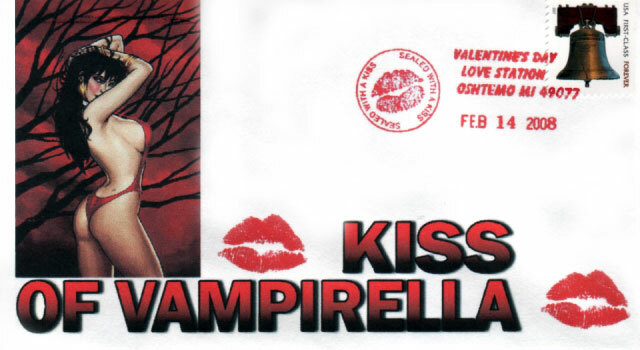 Jeff Brottman has a range of special envelopes which depict Vampirella in the cachets. 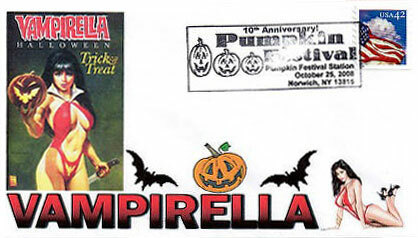 I have bought quite a few of these and have not been disappointed in the envelopes, cost and speed of delivery and Jeff's overall service. 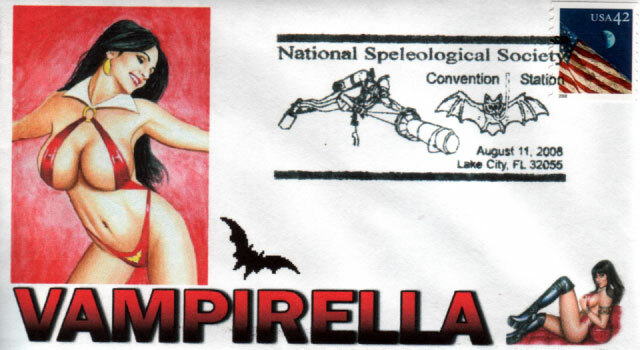 They are very well made and have genuine stamps which have been franked at special events which have a link to Vampirella in some way, e.g. 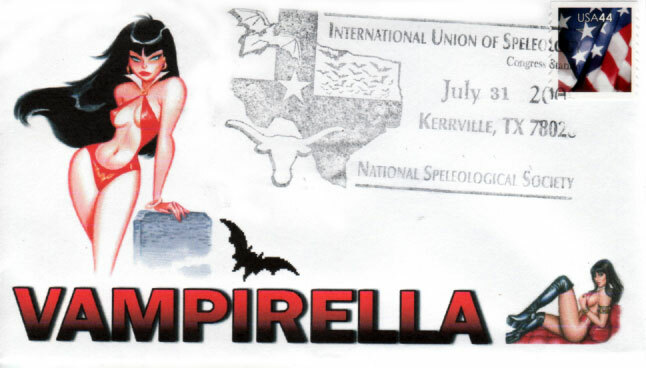 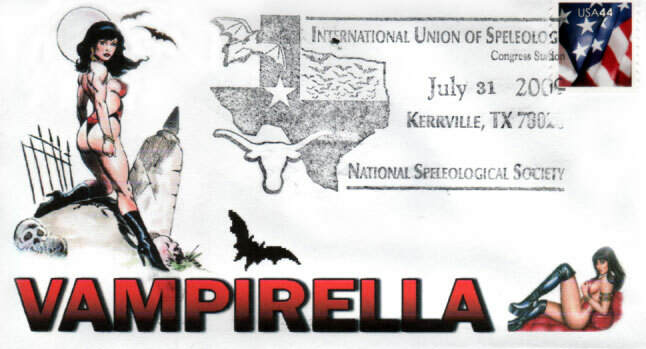 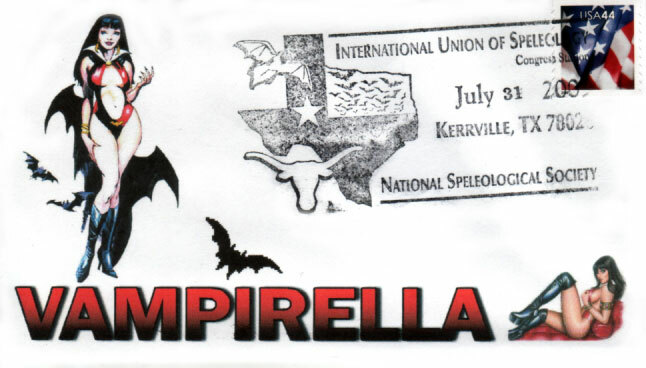 the National Speleological Society Convention from Lake City, Florida on 11th August 2008.